Another upgrade from the makers of the Model 212B and the Model 222B. 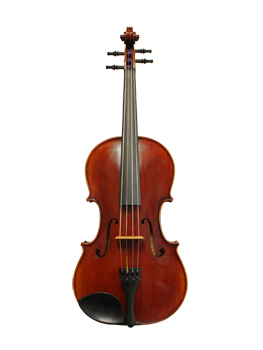 This viola represents a very refined and beautiful tone as well as appearance. With even greater attention to top graduation and bass bar fitting the resulting tone projects well with a deep sweet sound. The varnish color and treatment also vary significantly from viola to viola.